The Royal Wedding. Love it or hate it, the one thing you couldn’t do was avoid it. It was absolutely everywhere. From discussions around who would make the ultra exclusive guest list, to how much was spent on the dress; no stone was left unturned. A big talking point in some circles was the stunning silver blue Jaguar that the newlyweds drove to their evening reception. It was a modern electric version of the classic 1968 British Classic E-Type concept Zero. 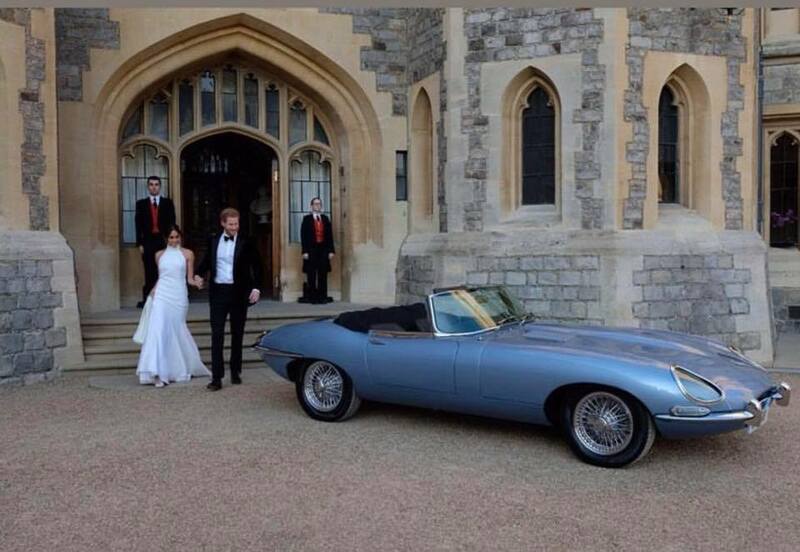 Jaguar really came to the party with this stunning creation and at JC Jags you’re also able to arrive in royal style by opting for a Jaguar Wedding Car Hire. Nothing quite says high class and opulence like the classic lines and styling that only a Jaguar can produce. From the luxurious leather interior to the traditional polished walnut dashboard, it’s the finer little touches that make all the difference. Providing a stunning backdrop for your wedding day pictures and allowing you to make a strong first impression, the range of Jaguars at JC Jags are second to none. A definite head turner ensuring your spectacular arrival for your big day, Jaguars are unsurpassed as the leaders in style and comfort. With easy access, large spacious cabin, and smooth comfortable ride your choice of a Jaguar Wedding Car Hire will be a smart one. The exteriors are finished with low slung curves that go forever and smooth body lines that are timeless. To view the entire range please feel free to click here. Head over to our FB page where there are more stunning photos of our fleet as well as some more reviews from our happy clients.